Handmade with a lot of love... 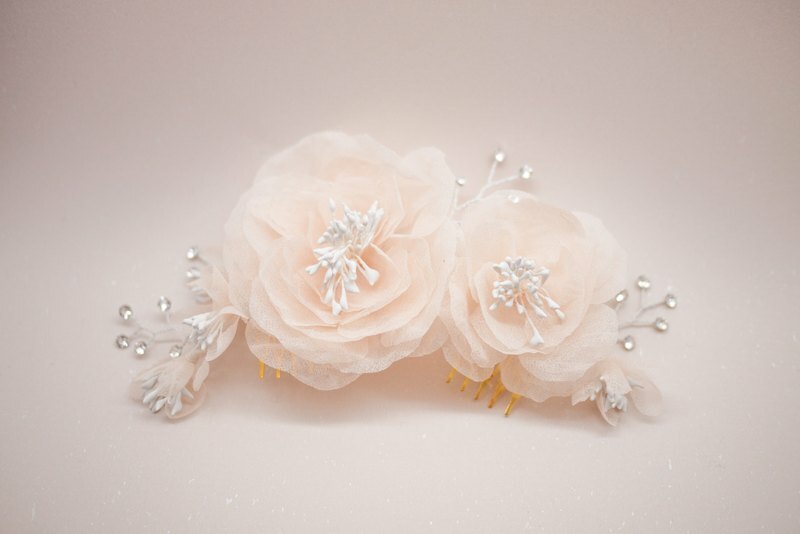 The blush pink flowers are all handmade from 100% silk chiffon. The center piece of the headpiece is two bigger flowers and there are also some smaller buds on the two sides. The headpiece is set on two 3cm combs. The length of the headpiece is about 15cm and the width is about 7 cm.